Tofu is a very big part of my life, being lactose sensitive, I do try to use soy products and dark green vegi into my dishes so the family can get enough calcium. Marinated tofu is a very simple side dish to prepare, it literally takes no more than 5 minutes and we all enjoy it very much. I don’t see this being served in most Chinese restaurants, only hole-in-the-wall Taiwanese eateries, hope you enjoy! Place the tofu slices in a strainer. Either pour boiling water over the tofu or dip the strainer into a pot of simmering water for 1 or 2 minutes. Set aside to drain thoroughly. Whisk together all the marinade ingredients. 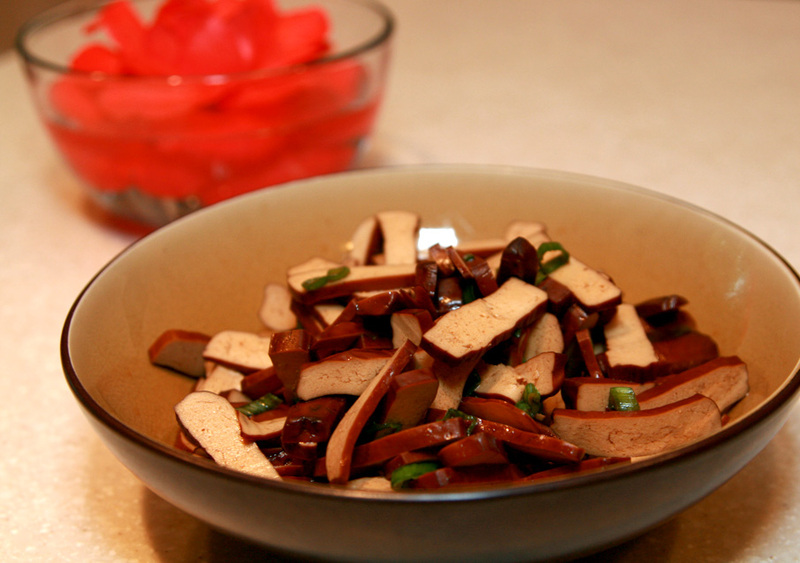 Pour the marinade over the tofu cubes in a large bowl and toss gently with a spatula. Chill at least 20 minutes before serving.